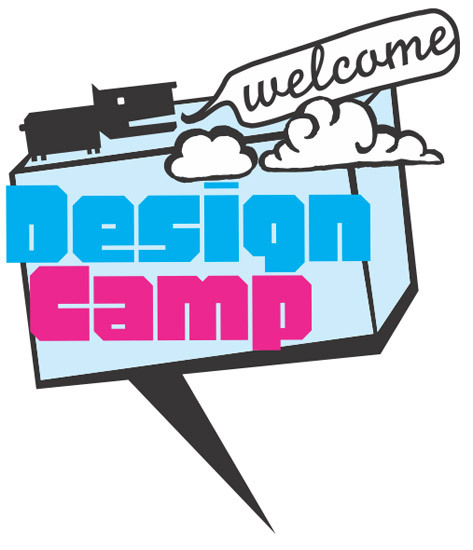 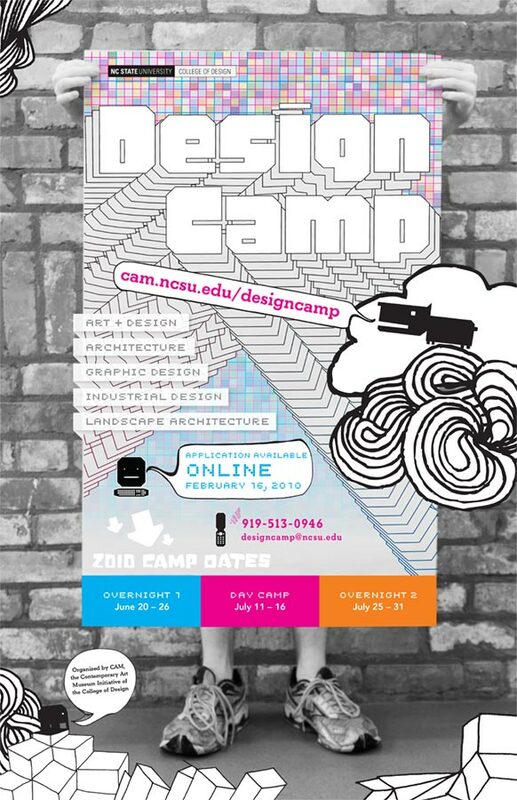 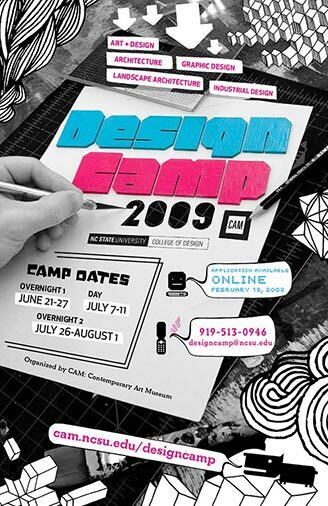 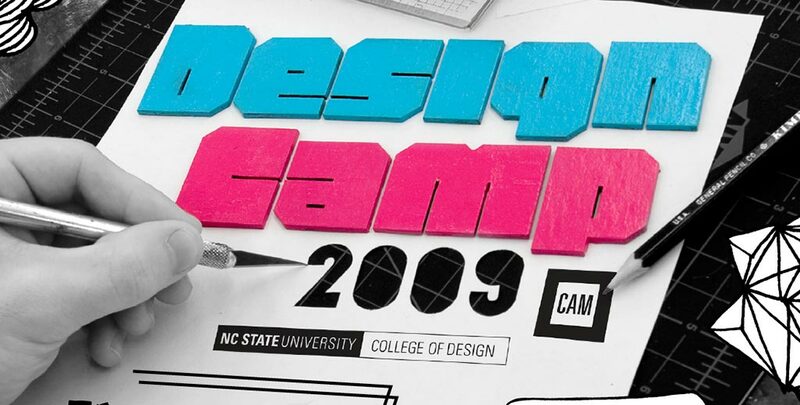 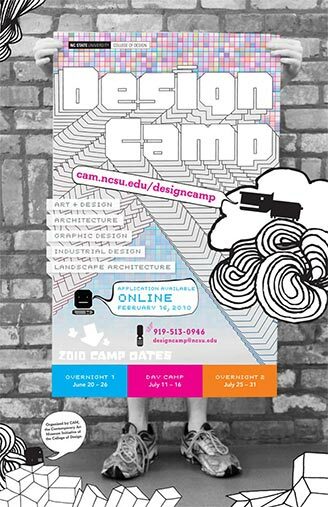 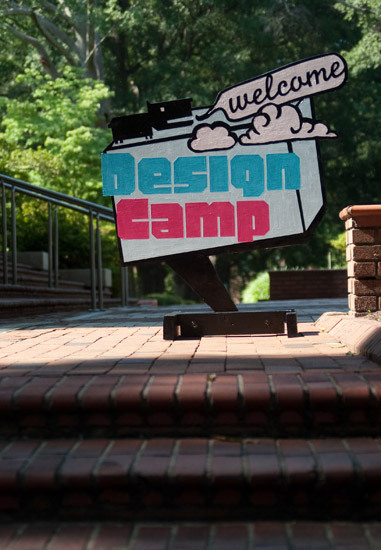 This is a collection of work created for Design Camp, the NCSU College of Design's summer camp for high school students. The camps are organized and administered by the Contemporary Art Museum, and I created the work while employed as CAM's student designer. 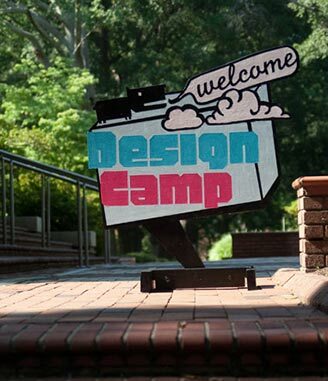 Work includes promotional materials (posters & fliers), camp collateral (name tags, instructional posters & thank you's), and wayfinding signage. 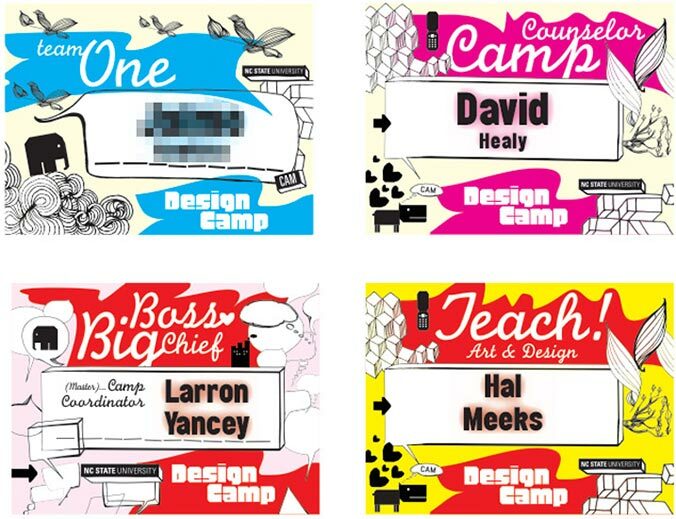 Name tags for students, camp counselors, instructors, and administrators. Camp t-shirt design. 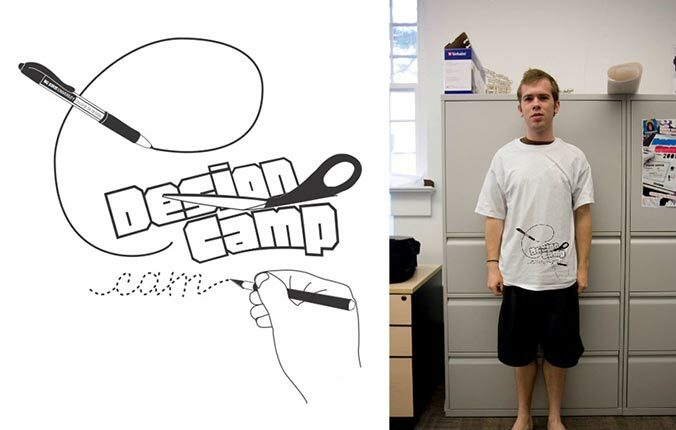 The design was screen printed on the bottom right of the shirt leaving plenty of white space for each team to customize their shirts during team building activities. 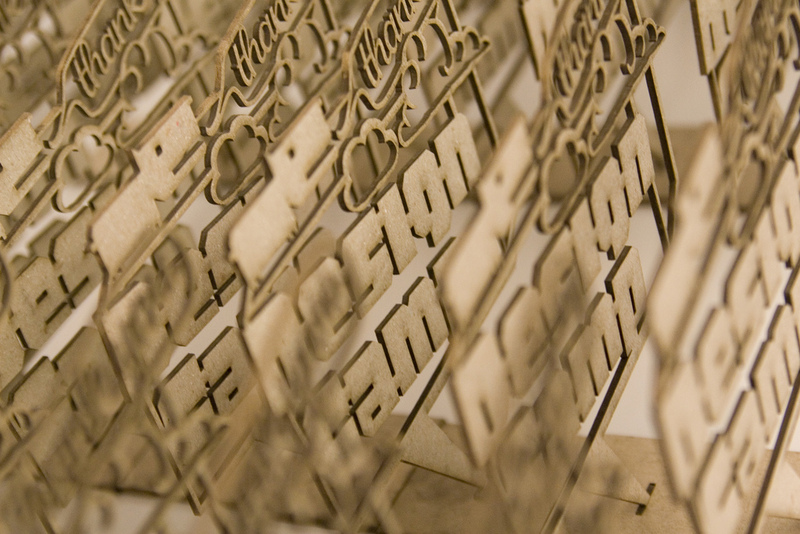 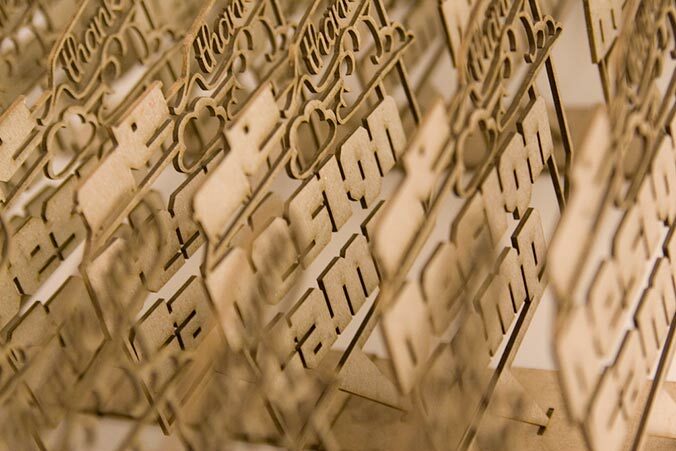 Lasercut thank you gifts for the camp staff and instructors.